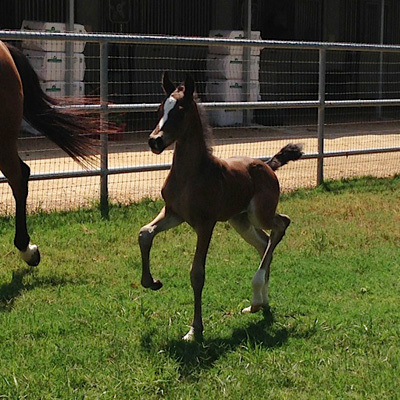 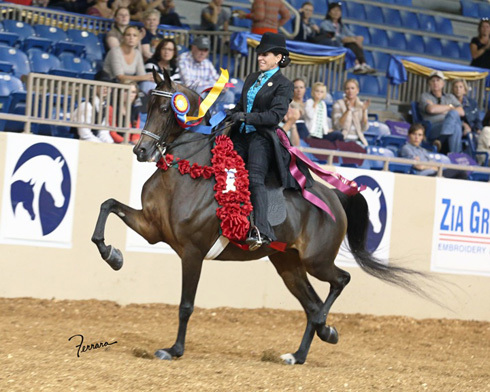 For the Lawrence family, showing and breeding Arabian horses is truly a family affair. 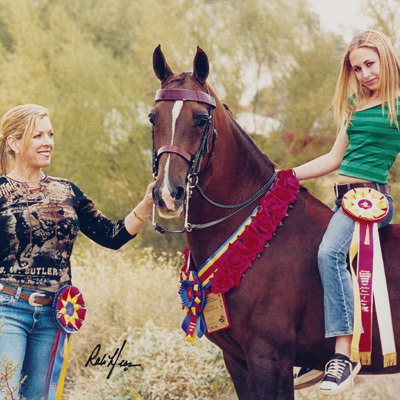 Carey and Lori's love for horses was part of who they both were long before they met. 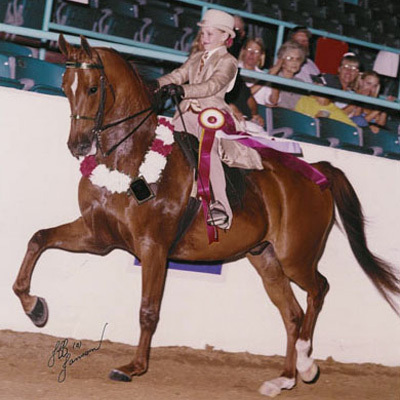 Lori's affection for the Arabian horse travels back to when she was a little girl, and admired the stunning babies turned out in the arena at a farm down the street from her family's home. 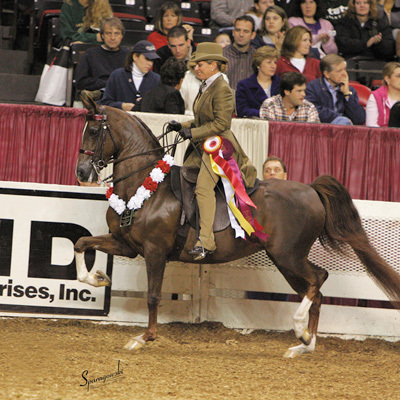 "I was struck by their incredible beauty, the way they flagged their tails, arched their necks and snorted around; they were the proudest, most beautiful creatures I had ever seen." 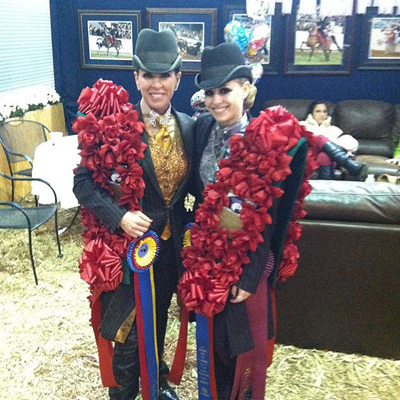 She knew someday they would be in her life, but it wasn't until she married Carey in 1982 that her dream was realized. 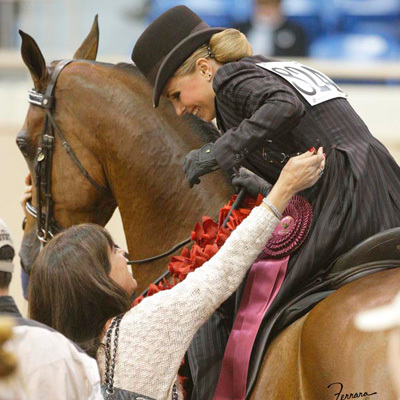 Lori's youth was spent showing everything from Quarter Horses to Tennessee Walking horses and like so many others, this love never left her. 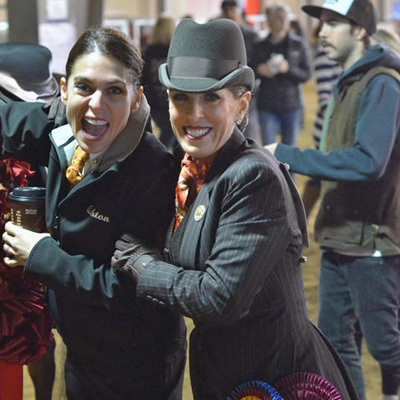 Although she took time off from showing for school and married life, she was lucky enough to meet and marry a partner whose enthusiasm for the horses ran as deep as hers. 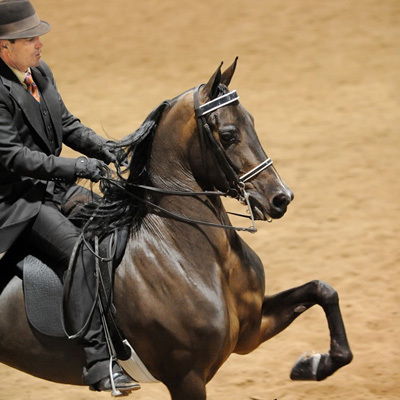 Carey's involvement with horses was a little less glamorous, but his love was just as strong. 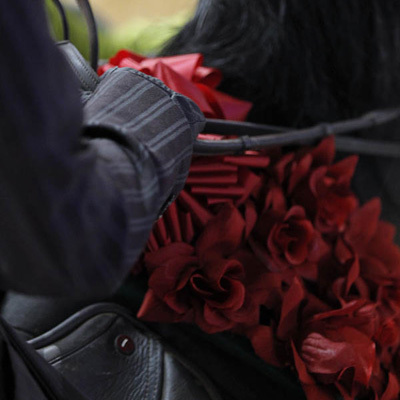 As a boy he lived within walking distance of a stable which allowed him to spend many hours around horses. 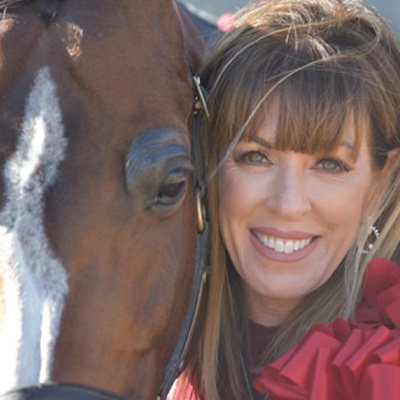 "I have always felt connected to horses and they fill a place in my heart". 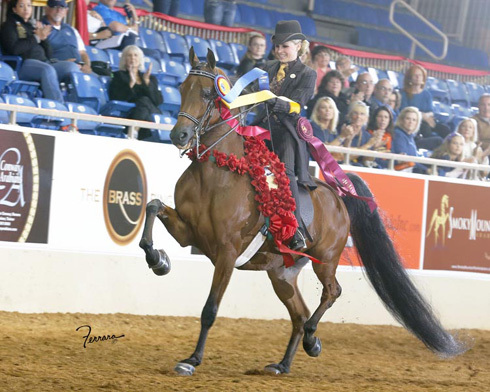 In I983 they bought their first Purebred Arabian, but the family's passion really blossomed when their daughter Nicole took an interest in riding. 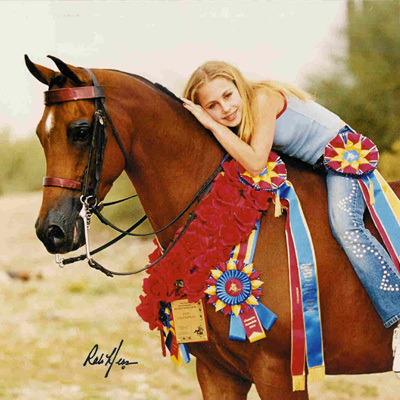 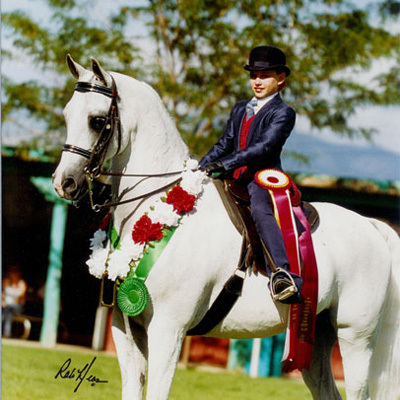 In 1999 when she was just 9 years old, Nicole began competing in the Country English Pleasure division. 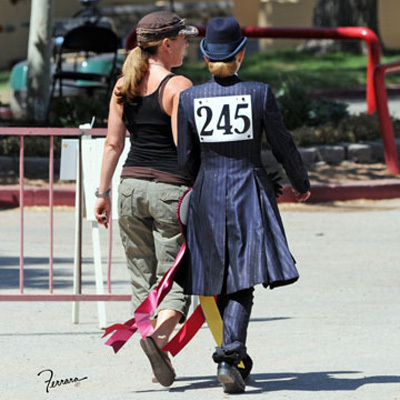 She had no interest in the walk-trot classes, and happily competed against the much bigger kids in the 17 and under division. 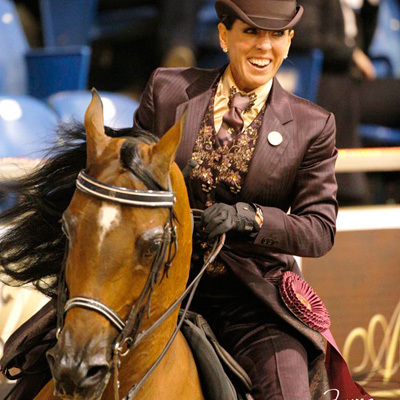 "I loved to canter, and had no fear of the horses. 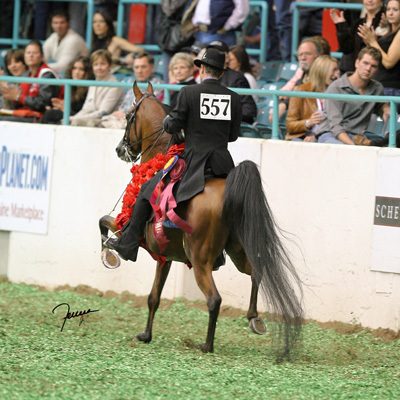 It didn't matter what color ribbon I got, I just thought if was fun to go out there and show!" 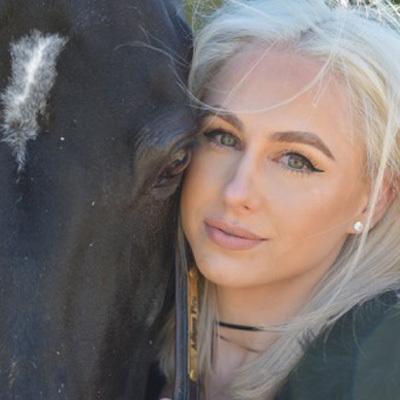 says Nicole. 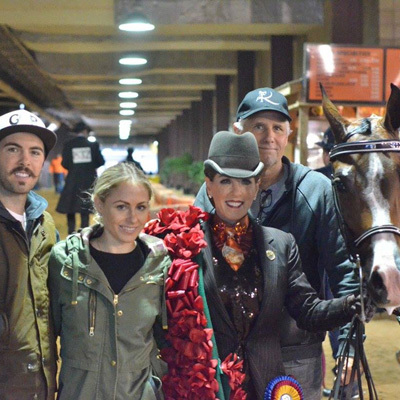 From that point on, the horses and shows became a focal point in the Lawrence's lives. 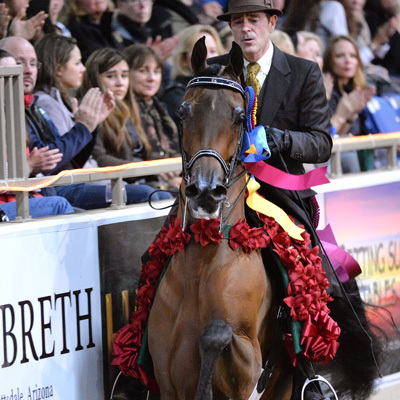 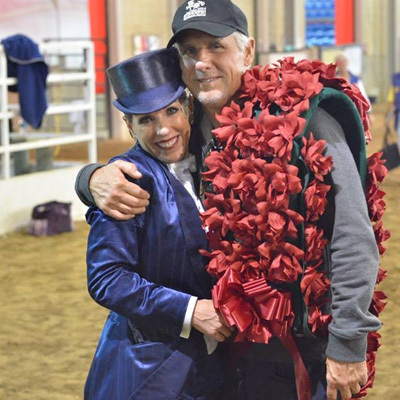 In 2007 the Lawrence's joined forces with the great trainer, Joel Kiesner, and have built an incredible string of horses with Joel’s expert guidance With the help of "Team Kiesner", Starline has won 40 National Championships to date. 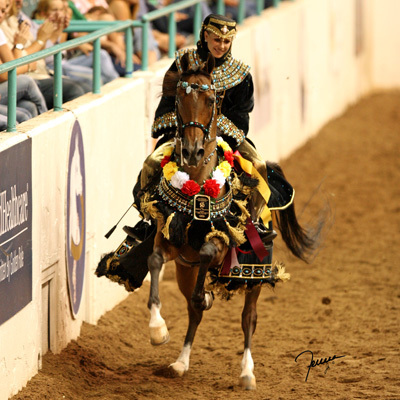 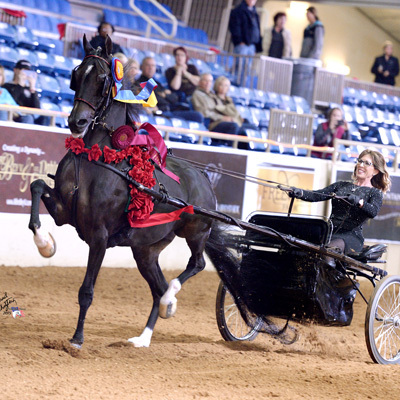 Starline’s first homebred Arabians will be entering the ring soon, and the Lawrence’s are anxious to fulfill another dream of theirs, to BREED, own and show National Champions. 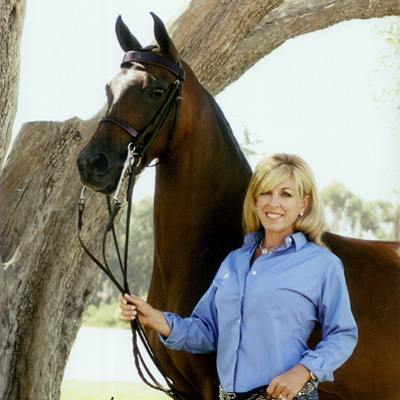 At home in California they have a small, state of the art barn on their beautiful property in Rancho Santa Fe, California, which has provided them with the joy of being able to spend time with three of their retired National Champions, Shadow Fire SSM, Nabasken Afire, and Barrbary Coast, as well as raising babies up before they go to Tennessee to join the show string. 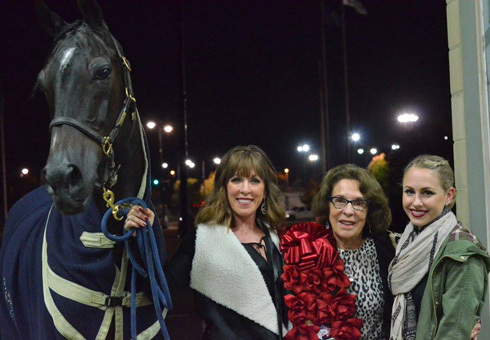 Carey, Lori and Nicole are delighted that Lori's mother, Joan, is now an active participant with their show horses as well. 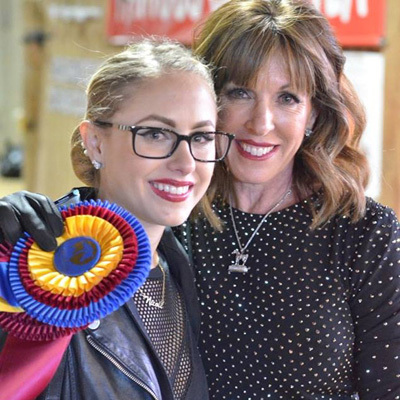 She is their greatest supporter, and they feel blessed that all three generations of the "girls" travel to all the shows together.